Great Investment property, this duplex has been completely remodeled and has 2 leases valid until July 2019. 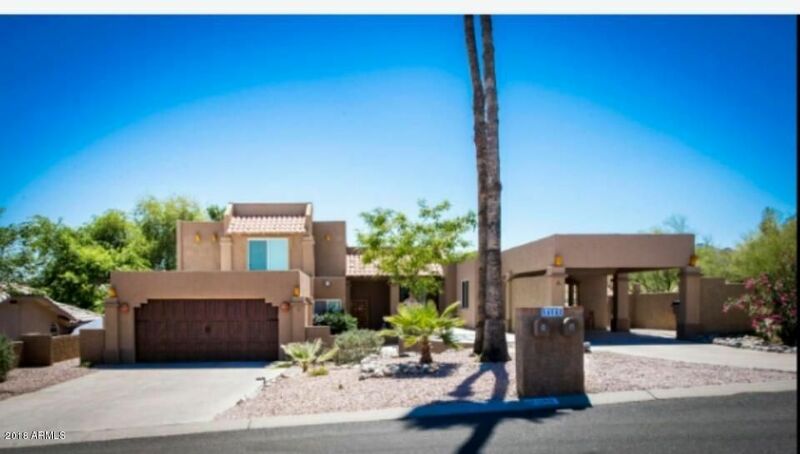 The 3 bedroom side has a large kitchen with oversized Fridge/ Freezer, 2 full baths the master bath has a large 2 person shower with body sprayers, Tile throughout with carpet in Living and Master Bedroom, home is roughly 1,650 sqft normal sized 2 car garage with beautiful wood styled door. Also has a block shed with electricity they is currently used as a hobby room. The 2 bedroom side has 2 baths, one full and one 3/4 with shower, completely remodeled in the spring of 2018, tile and wood floors throughout, oversized 1 car carport, home is roughly 1,100 sqft. The units share a kidney shaped pool and have wonderful views of the city and mountains.